Casement windows can dramatically enhance your home’s exterior. Replace old double-hung or slider windows with casement windows to create a fresh look, right out of the latest architectural magazines. 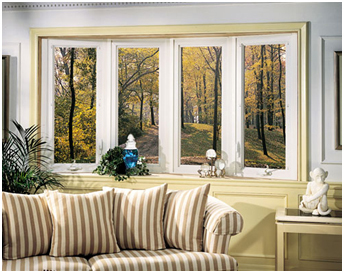 This high-end window has smooth operating hardware that opens and closes with ease. Windows pivot out 90 degrees for efficient ventilation and easy cleaning from inside your home. Hansons Casement Windows: The Difference. Beautiful by themselves, or in combination with most bow and bay windows, casement windows are a perfect way to add elegance to your home. Single-lever multipoint locking system ensures a secure, weather-tight seal that helps keep your home safe and draft free. Allows for full opening for safe and easy cleaning. 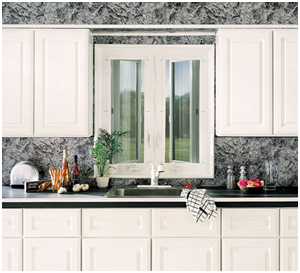 Effortlessly open your casement windows to any position for partial or full ventilation. They open easily, making them ideal for hard-to-reach areas.